The challenges of the so-called “future of work” have driven Bacolod and Negros Occidental digital leaders to move faster than the quite usual pace of provinces in the peripheries. Last February 9 to 12, BagoSphere, a trailblazing social enterprise for talent development in Negros Occidental, though its BagoSphere Labs, organized Big Data Analytics 101 featuring speakers from the Analytics Association of the Philippines (AAP). The main resource person was Daniel Meyer, president and founder of Decision-Making, Analytics & Intelligence Philippines (DMAIPH), an Analytics, consulting, training and outsourcing company with offices in Manila and the San Francisco Bay Area. He worked as a Senior Analytics Consultant for Wells Fargo Bank for 15 years. He provided executive management analytics for the bank’s remittance service including developing business dashboards, overseeing competitive intelligence gathering, managing data analytics outsourcing projects and facilitating audit and risk management. He recently published Putting Your Data to Work, an analytics guidebook designed to provide organizations with a solid foundation in using analytics to empower more data-driven decisions. Sigue: How important is Big Data, Data Analytics and Business Intelligence in Up-skilling and Re-Skilling our talent pool today to prepare for the Jobs of the Future? Meyer: Given the global demand for analytics talent, the Philippines will definitely play a role. Our demographics and the BPO industry will ensure we have a future in analytics. The question is really how big a role. If we are to take advantage of the 100,000’s of jobs out there now and in the near future, we will need to massively upskill a significant number of Filipino with analytics skills. APEC is projecting at least 500,000 jobs are there for the taking for Filipino workers. Sigue: What’s the initial steps for cities outside Manila to take – to embed these skills? Meyer: Build awareness of the opportunity. Assess where the skill sets of the workforce and students are and calibrate with current and future jobs available. Help decision-makers move from awareness about analytics jobs to acceptance of the need to upskill there current and future workforce. Build stronger partnerships between industry and academe through teacher training, OJT experiences and talent pipelines. Sigue: How about businesses and corporations in Bacolod? Why is there and important and urgent need for business analytics? Meyer: Learn to use data to make better decisions. Demonstrate the successes enjoyed by more data-driven companies and the perils of ones who dont embrace data. Things like business dashboards, business intelligence tools and data storytelling will make the use of big data more dynamic and you will start seeing significant difference between early adopters and late comers. Sigue:What is the goal and mission of AAP? Meyer: To facilitate a unified analytics ecosystem across the country through programs, trainings and initiatives that achieve industry-academe partnerships, large scale training, curriculum augmentation, and government lead events to further the conversation. Sigue: What is BagoSphere Labs? BagoSphere Labs is the corporate training arm of BagoSphere which aims to help companies accelerate business performance in a changing world by focusing on a mobile, digital learning journey that centers around the employee experience – from onboarding to growth. We bring resources and expertise to Negros to help individuals and organizations understand and become equipped to adapt to the future of work. Big Data Analytics 101 is the first event organized by BagoSphere Labs. 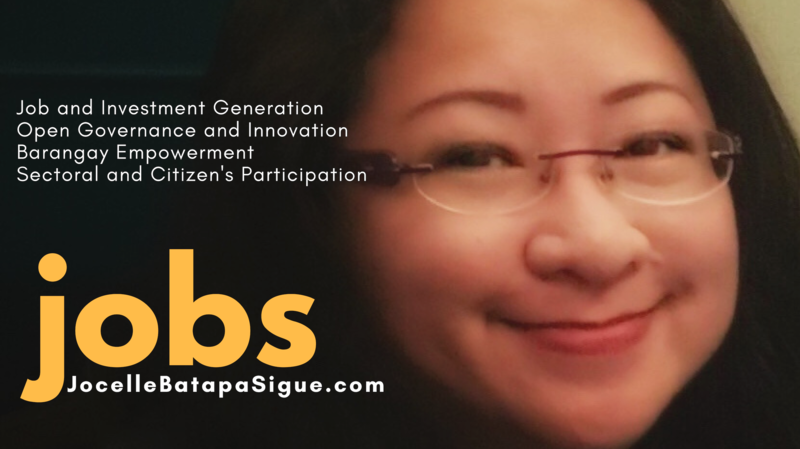 Sigue: What role will BagoSphere play in scaling up the quality of talent for Bacolod? Tan: The number one goal is to provide call center agents with future proof skills that are not threatened by AI (visualization, storytelling and the like). Additionally, we can help local schools augment their curriculums as they implement the CHED analytics memos from 2013. We can also help BPO owners, managers and leaders upskill their workforces to offer up the value chain jobs to their clients. This is in line with upskilling initiatives within IBPAP and government entities like DICT and DOST. Sigue: How do you assess the talent development efforts in Bacolod? Tan: There is definitely more skills and competencies that we need for talent in Bacolod to adapt to the future of work. However, there is more work to be done to bring awareness of the need to future-proof the talent/workforce to the private sector, especially with SMEs, and we are looking at launching events/workshops related to the future of work and future skills. In addition to helping local schools and BPOs training for up-the-value-chain training in Data Analytics, we also work with employers (in both BPO and non-BPO industries) to create talent development solutions to upskill the workforce with future-proof skills such as communication skills, digital skills (e.g. Data Analytics) and soft skills. Interviewer is Co-Founder, Former President and currently Executive Director of the Bacolod Negros Occidental Federation for Information and Communications Technology (BNEFIT) and Co-Founder, Former President and Trustee and currently Vice President of the National ICT Confederation of the Philippines (NICP).